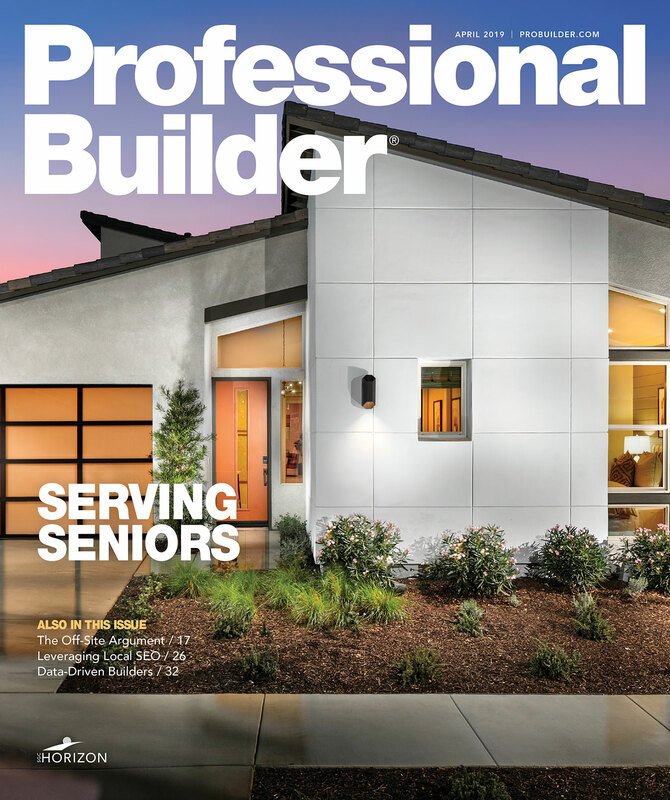 Today’s homebuyers are looking for great design and great value. From starter homes to luxurious move-ups, they’re intent on finding something that’s unique and personal. Not long ago, the term cookie-cutter was only used by builders and design professionals as they discussed how to vary streetscapes filled with repetitive plans. But now buyers are quite familiar with the term and most are quick to describe a neighborhood as cookie-cutter if they sense too much repetition. From a construction perspective, of course, repetition becomes one of the essential elements of cost-effective home building. This is where thoughtful and creative design becomes essential. As you’ll see in the following examples from our design team, it’s possible to produce multiple elevations for the same floor plan. With just the right amount of material and proportion variations, the faÇades could be placed side by side, with no hint of cookie cutter. Each home in this development has one windowless blank side wall that forms the backdrop for the adjacent home’s side courtyard. With gates at each end, this courtyard becomes a private outdoor area ideal for entertaining and perfect for pets. 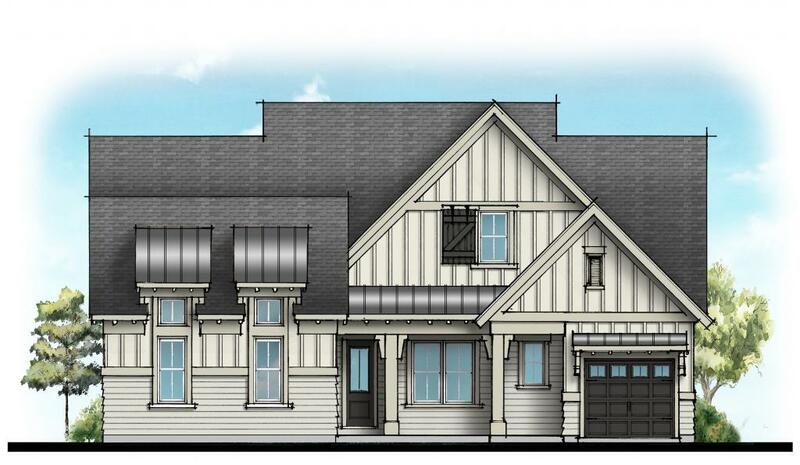 Three front-elevation options offer varying rooflines and forms. The cladding materials range from siding to brick to stone, ensuring that each elevation has a distinctive style. 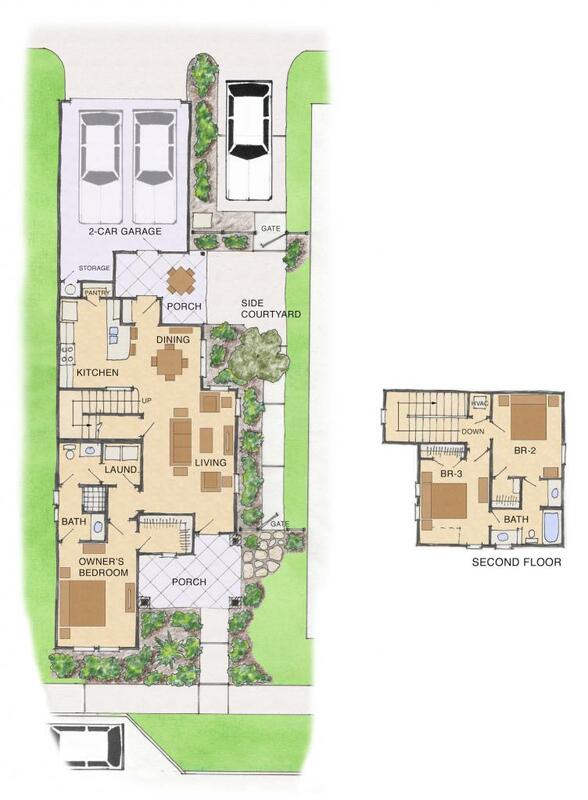 While the same plan would not typically be built side by side as shown here, the different combinations of materials and proportions make it difficult to recognize that all three exteriors represent the same floor plan. 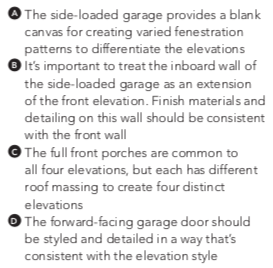 Versatility and variety in elevations is an ideal way to offer diversity within your region or market segment. Sometimes the community you’re building in is perfectly suited for the buyer who wants the cute, traditional home, and some communities are better suited to appeal to the buyer who doesn’t want anything that resembles what they grew up in—they want modern. Here is an example of how to elevate one plan with varying degrees of modern appeal, and the keys to getting it right. 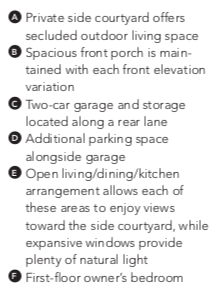 Builders use multiple elevations to provide variety in a community. This can involve minor changes such as siding, to more extensive makeovers of massing and fenestration. This house completely transforms from elevation to elevation. 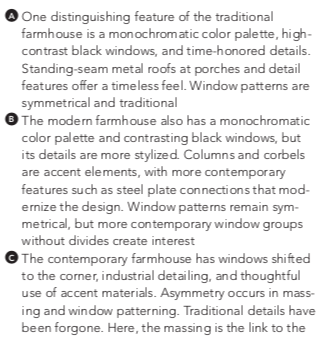 The plan has exteriors based on three architectural styles—Modern Farm, European, and Craftsman—but this time, there’s a twist: All of the styles are created in the Dollhouse style, which takes classic architectural styles and adds some whimsy and romanticism. 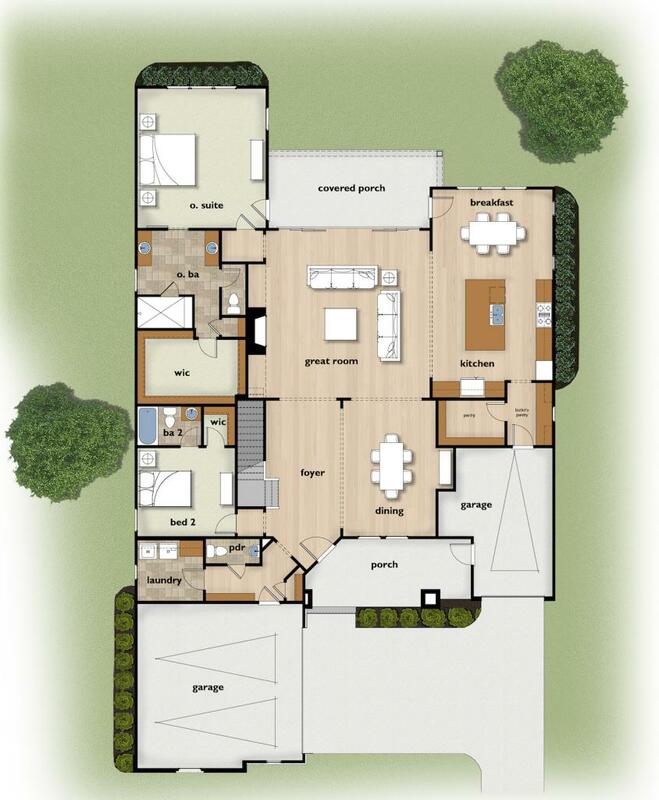 This is done by purposely exaggerating proportion and scale to create a home that’s sure to charm. Multiple elevations are often a challenge with single-story active adult homes. Without a second story, opportunities to create variations in massing are more limited. However, when including a partial second floor, these four distinct elevations become appropriately massed and unique with the use of dormers, hip roofs, and gable roofs. In addition, changing the direction of some of the rooflines helps provide variety. Multiple elevation styles are critical to creating an interesting streetscape. 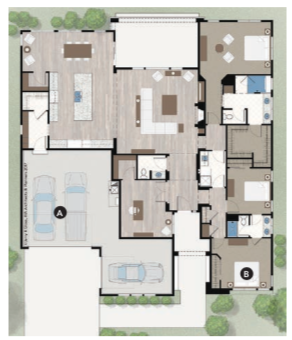 The Aspen is part of a series of five ranch plans, each with the option of two or three different elevation styles. In a neighborhood with just 43 available lots, this provides great diversity, creating a custom neighborhood feel. The three elevation styles are modern interpretations of traditional forms, which together create a harmonious streetscape. Regardless of plan, all three elevations play well together, using similar massing and related color palettes to give the neighborhood an attractive, cohesive look.